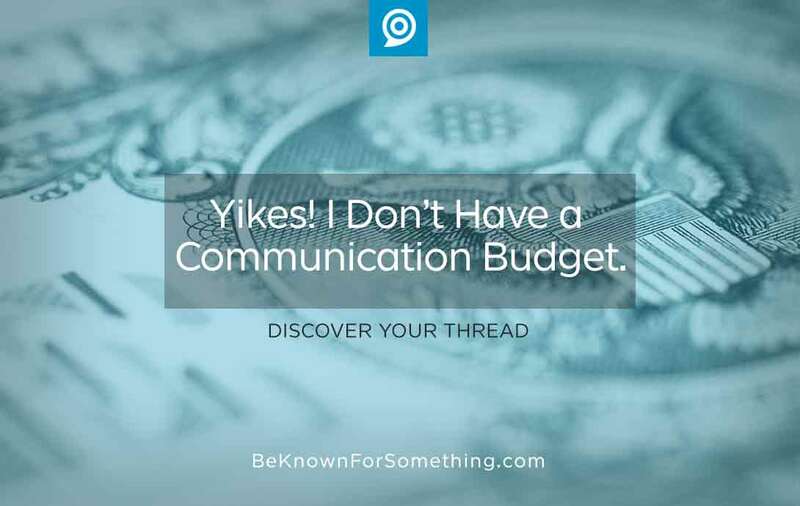 Be Known for Something : Discover Your Church Communication Thread / Budget / Yikes! I Don’t Have a Communication Budget. Most ministries don’t have extra money. So, most ministries are forced to do a lot with very little. 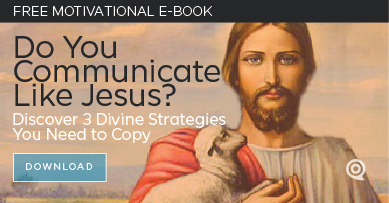 Often though, I see many of those ministries producing very good communication! Why? Because most effective communication doesn’t require large budgets — it just requires great content. Good communication requires ministries to have the ability to tell the stories of great work and sharing the opportunities needed to become part of the church’s potential. Today, a church basically needs a website, email, social media account, and maybe a printed bulletin. Then make the printed bulletin as small as you can to save money and invest in the best website you can. And if you struggle with little to no budget for hosting or a domain, let alone a WordPress or templated website, you can probably do all you need with a well-run Facebook page for external communication and a Facebook group for internal communication and events. Knowing the limitations allows you to be creative within the boundaries — and that’s how many churches shine! Form a volunteer communication team. You’re going to be challenged for time if you’re trying to do it all yourself. Practice good leadership and assemble a few people from your congregation who can help. You probably need a writer, an editor, a photographer, a videographer, and/or a designer. Start small and work with who you have. Concentrate on developing your church’s voice and communication thread so many can input content. Do everything you can with what you already have. Many who can afford the tools don’t use them effectively. Assess the tools and channels you have and make the content as good as possible. Continue to work on your communication thread, lock down your brand components, and focus on meeting needs as simply as possible. This will position you better than most churches! Resist complaining and do what you can. Look at your limitations as opportunities and set the standard for producing amazing communication content with a tiny budget. Complaining will limit you and keep you from being creative. Take on the challenge! Reasonably talk to your supervisor. Prove that you’re being a good steward of what you have. Concentrate on “wins” that you’ve had with leadership and your congregation, then focus on telling those stories to your supervisor. Dream with him/her about what you might be able to do with an additional amount of budget. From what I’ve seen, if a church is effectively communicating ministries, your church is going to start to grow. And with that comes more budget. Once you do get increased budgets, don’t forget what you’ve been doing. Continue to operate frugally and effectively. God will honor your stewardship and bless your work!